Here is the list of the 10 most searched free online databases. FamilySearch.org, a free top genealogy website, has published billions of free searchable historic records online, helping feed the growing frenzy of online family history enthusiasts. 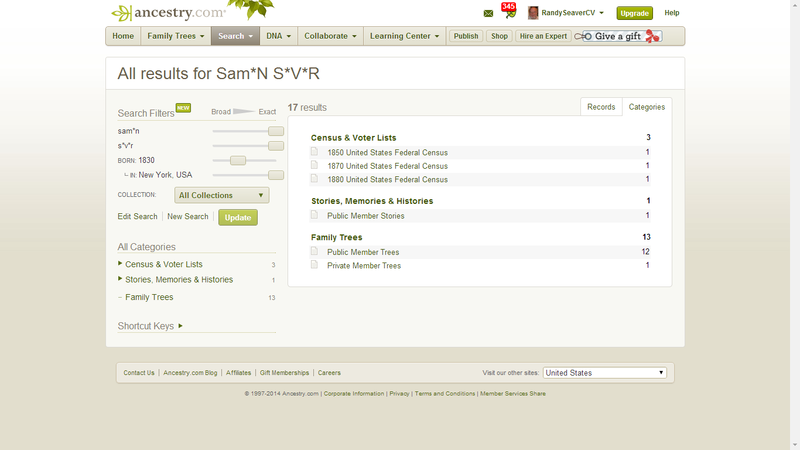 If doing your family history is on your list of 2015 new years resolutions, FamilySearch has announced its top 10 most searched online collections in 2014 by the millions of consumers determined to find their elusive ancestors or to fill in missing pieces of their family history puzzles. Was great-grandma really an attraction in a Wild West show? Did Uncle Joe really fly the coop and move to Brazil for 10 years? Or where did I inherit certain physical traits? This is a great strategy to help find the father of an illegitimate child. In most families, sooner or later you will encounter a child born to an unwed mother. Finding the fathers of these ‘illegitimate’ children can be difficult, but not necessarily impossible. I’ve researched dozens of these cases, both in my own tree and for clients. In fourcases, I have been able to prove who the father was.In two other cases, I have developed good theories which I hope to prove through DNA. In the majority of cases, I ended up with a list of possible fathers, but no clear candidates. With the growing popularity of DNA testing and advances in tools for exploring DNA matches, it may be possible to solve these cases in the future. While working these cases, I developed some strategies that may help you with your own cases too. I will use anonymized examples from my own research to illustrate how you can find out who the father of the illegitimate child was. 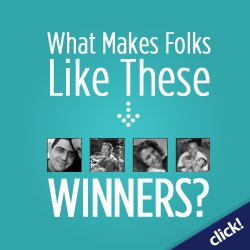 Have you had success in using search engines for genealogy? I’ve been working on adding facts and source citations for my Seaver, Carringer and Vaux persons in my RootsMagic database, hoping that the information might help somebody else, plus enrich my database with the information. In the process, I’ve been searching for persons in U.S. census records on Ancestry.com so that I can provide a decent source citation for an entered Fact. But, there are times when an Ancestry.com search does not find what I expect to find, and that is frustrating. CTO Scott Sorensen has a challenging job: Helping Ancestry.com expand and enhance its vast database of family information, while keeping that data secure. It’s not easy being the CTO of a company that has a 10 petabyte database with 13 billion structured and unstructured records going back to the 1300sa number that grew by 1.2 billion documents in 2013. In its quest to continue expanding and enhancing its enormous database of family information, the company launched AncestryDNA in May 2012. The 1870 – 1940 census information is the official way that the country keeps track of how many people are living in each town, city, county/parish, state, and in the entire country. Every 10 years, the Census is conducted in an effort to record basic data about the people of the United States. Beyond numbers of people, the Census also records age, name, race (or ethnic background), citizenship status of each person, and the total information for each household. This can give a snapshot of what a family looks like in a given year. For individuals doing research into their own family history, using Census data is incredibly helpful, especially for the late 19th and early 20th centuries. While the Census is meant to collect information from everyone, naturally that is not always successfully accomplished. People can refuse to fill out their Census form, or Census forms get lost, names are misspelled, or records are kept inaccurately. While many pitfalls exist for people researching their genealogy through the Census, it still remains an incredible tool for most. With a little bit of determination and thoroughness, you may find just what you are looking for. Between 1870 and 1940, a number of changes occurred in the United States. Slavery was abolished and the names of black Americans started to be recorded as part of the 1870 U.S. Census. In 1921, the 1890 Census forms were lost in a warehouse fire. Some still exist but are very limited to a few geographic areas. In Louisiana, you are in luck if you had “kin folk” in Ascension Parish in 1890 because their census index was not destroyed. In 1902, the Census Act was signed by Theodore Roosevelt, creating a dedicated census office for the federal government. Before 1902, census forms were collected locally, and there was a considerable amount of fraud involved. Many municipalities were hoping to go from territories to states, and would bump up their numbers with fake people or duplicate names. Others, in an effort to pay less in taxes, would throw out a certain percentage of forms to make their population seem smaller. With all these challenges, it is important to remember that your search of the census record will not be straightforward or fast. Give yourself time and create a research log, then start your searches. All census records are available up to until 1940. The 1940 census search by name is a great feature. There are a large number of websites that offer family history search capabilities of the census records, and when you search you may find too much or nothing at all. Just as the spelling of a surname can be spelled differently, so can given names. Remember to try all variations of names, such as Eliza, Liza, Liz, Beth, and Elizabeth, and jot down each search you complete in your research log to keep all those attempts straight. Include a town if you have that information, but remember that the simpler the search, the more results you will receive. Try everything before giving up on the census. While the information may have been lost or destroyed, it’s far more likely that you will find some real gems about your family history if you trace it back through the decades using the U.S. Census. The Census Bureau’s National Processing Center (NPC) is located in Jeffersonville, IN and houses copies of census records from 1910 to 2000. Because of the “72 years” rule, the census records from 1940 were released on April 2, 2012. After 72 years have passed, personal records are available for viewing or to be purchased through the National Archives and Records Administration (NARA) can obtained census records online. Visit the National Archives website for invaluable census information to assist in your search.